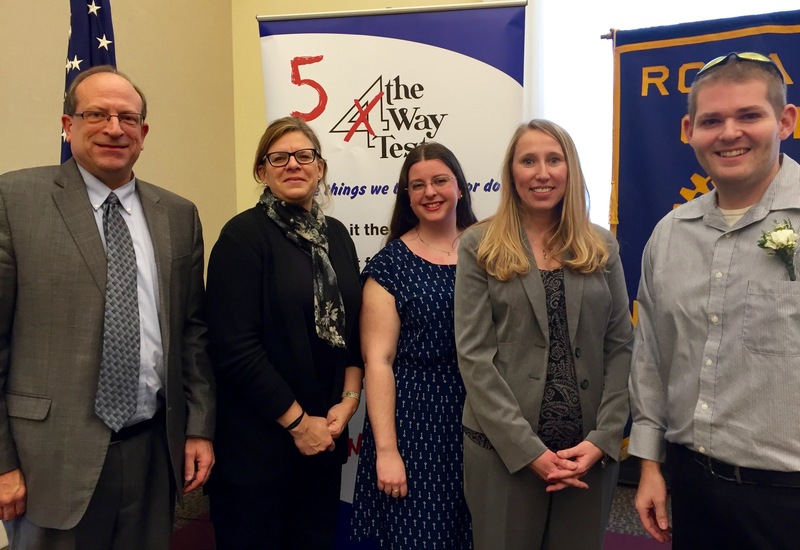 On Tuesday high school students from Avon High School, Avon Lake High School and Brookside High School participated in a Rotary sponsored public speaking competition, also known as the 4-Way Speech Contest. 4) Will it be Beneficial to all concerned. 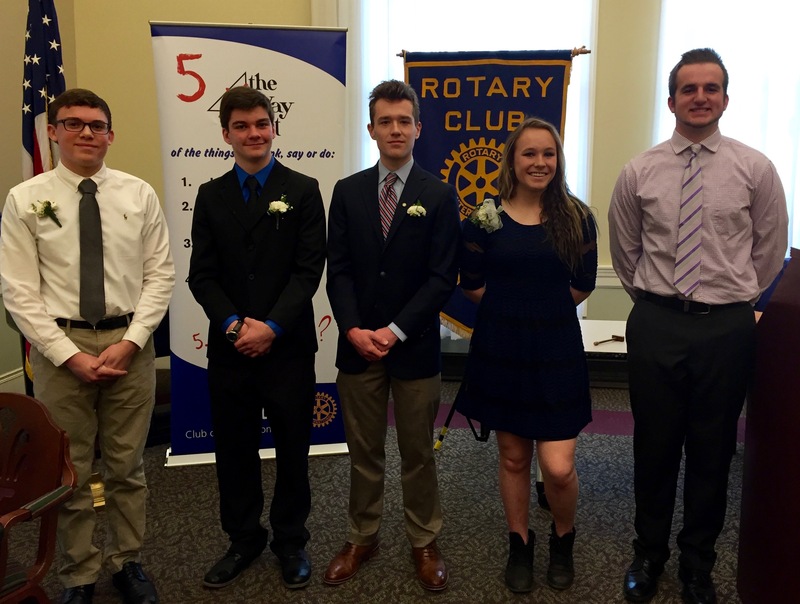 The Contest gives students an opportunity to demonstrate their public speaking skills while highlighting Rotary’s values. Students develop their own speaking material drawing on the 4-Way Test and their own personal experiences. The students’ presentations were evaluated by four judges, all with educational backgrounds. The judges complimented the participants on their presentations expressing their opinions that they all performed at college level. Kyle B. from Avon Lake High School and Sam L. from Avon High School were fourth place finishers and were recognized for their effort in participating. Alexis D. from Avon High School was awarded a third place finish; Dale W. from Brookside High School a second place finish; and Elliott P. , also from Brookside High School, was awarded first place with the opportunity to continue at the Area Contest and District Contests. Cash prizes were awarded to the first, second and third place winners. The next competition among the winners from 10 to 16 Rotary Club competitions will be at Ritter Public Library in Vermilion on Saturday March 12th.